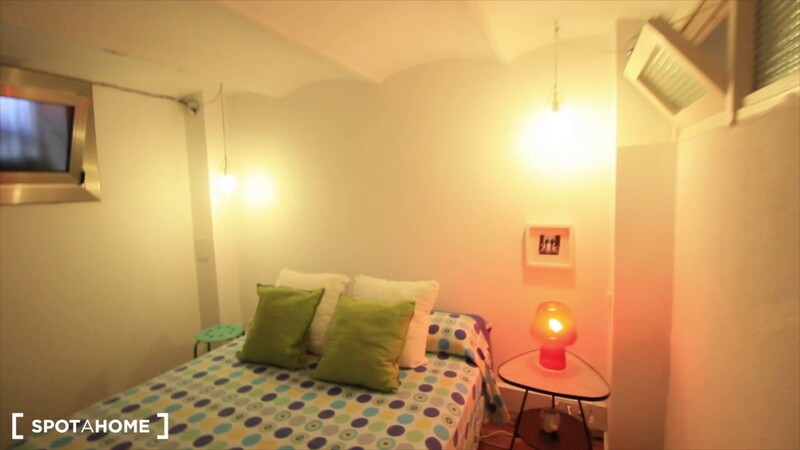 This 55 m², 1-bedroom apartment is ideal for a quiet individual in the popular neighborhood of Sant Gervasi. The apartment comes fully furnished with modern and stylish decor which complement the beautiful wood flooring. The kitchen comes fully equipped and there is 1 bathroom. The landlord prefers a chilled, quiet tenant. Sant Gervasi in the north part of Barcelona is a young and vibrant area, known for its bohemian atmosphere and great international cuisine. There are multiple restaurants, a cinema, and shops all within a 10-minute walk. You can also easily get around Barcelona via bus, metro, or train. The modern appliances include a washing machine, dryer, and dishwasher. You must walk down a steep staircase to access the apartment. The landlord is looking for a quiet tenant and has special conditions. See Landlord Policies. You'll have a flat-screen TV that doesn't come with digital cable... but it comes with Netflix! Parties and large gatherings not permitted. Tenant can have visitors, but no more than 1 guest at a time. The Gràcia station is only a 3-minute walk away and is serviced by regional trains and metro lines 6 and 7. There are also multiple bus stops seconds from the apartment.